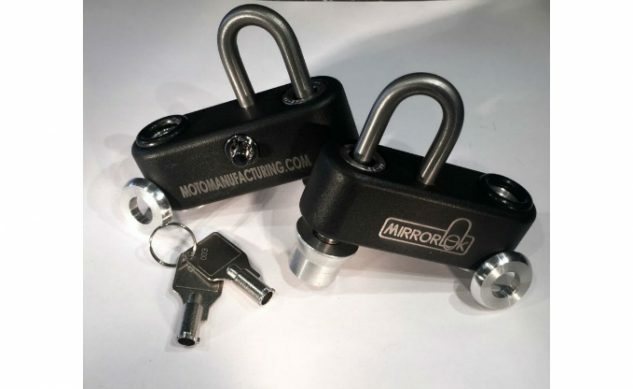 Moto Manufacturing’s latest product, the MirrorLok, is a simple and effective device to raise your stock mirrors and leave a place to lock your helmet. 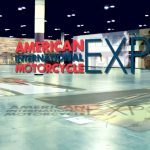 Moto Manufacturing is pleased to announce its participation in the American International Motorcycle Expo presented by Nationwide (AIMExpo), the powersports industry’s largest trade and consumer show in North America, as the show heads west this fall for the first time at the Mandalay Bay Convention Center in fabulous Las Vegas, October 11-14. Dealers, media, and consumers will convene in Las Vegas for the four-day event, with Moto Manufacturing showcasing their patent-pending MirrorLok. MirrorLok allows you to see more than your shoulders and elbows, lessens mirror vibration and gives you a place to lock up your helmet and gear all in one mult-functional accessory. Moto Manufacturing makes unique accessories to make your life on the road easier. This will be our first appearance at the AIMexpo and we are very excited! 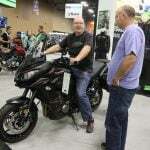 Our goal at AIMexpo is to teach people about the unique functions of MirrorLok. 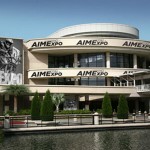 AIMExpo presented by Nationwide is the only show of its kind in North America, bringing together all aspects of the motorcycling industry at one time, which includes international and domestic media, dealers and consumers. “Every day I like the MORE. No more blind spots or having to move your head to actually see what’s in the rear-view mirror!” said Ed Higgins, MirrorLok customer. Moto Manufacturing has seen the growth AIMExpo presented by Nationwide has achieved since the unique concept took center stage within the motorcycle industry in 2013. 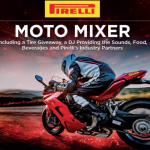 The sixth annual show will make its West Coast debut and anchor the inaugural “Powersports Industry Week” – a truly unique, week-long celebration of motorcycling and the greater powersports marketplace, also featuring the Las Vegas BikeFest and Monster Energy Cup supercross race. 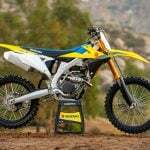 For more information about Moto Manufacturing, visit www.motomanufacturing.com, Facebook, Instagram. Come and check out what we are up to at the Made in America section booth #1641.